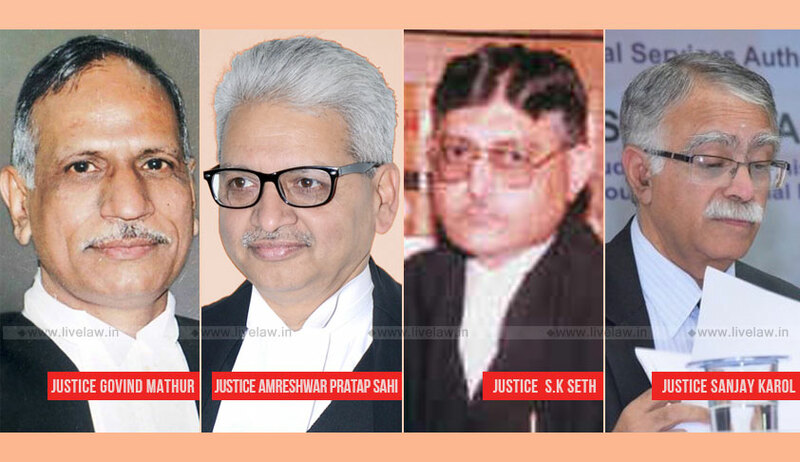 The Supreme Court collegium has recommended the appointment of Chief Justices to High Courts of Allahabad, Madhya Pradesh, Patna and Tripura. Justice Govind Mathur has been recommended to be appointed as the Chief Justice of Allahabad High Court. He was appointed as the Acting Chief Justice of the High Court last week. Justice Mathur is the senior-most judge from Rajasthan High Court. While recommending him, the collegium noted that while currently there are two Chief Justices from Rajasthan High Court, one of them, Justice Ajay Rastogi has been recommended to be elevated to the Supreme Court. Justice SK Seth has been recommended to be appointed as the Chief Justice of Madhya Pradesh High Court. The office of the Chief Justice of the High Court would be falling vacant consequent upon the elevation of Justice Hemant Gupta to the Supreme Court. Justice Seth is the senior-most judge from Madhya Pradesh High Court and has been functioning in that high court ever since his elevation. While recommending him, the collegium noted that at present, there is only one Chief Justice from Madhya Pradesh High Court. It further invoked the provision of the Memorandum of Procedure which allows elevation of a puisne judge as Chief Justice in his own High Court if he has one year or less to retire. As per record, Justice Seth is due to retire in June, 2019. Justice AP Sahi has been recommended to be appointed as the Chief Justice of Patna High Court. The office of the Chief Justice of the High Court would be falling vacant consequent upon the elevation of Justice MR Shah to the Supreme Court. Justice Sahi is the senior-most judge from Allahabad High Court and has been functioning in that high court ever since his elevation. While recommending him, the collegium noted that at present, there is only one Chief Justice from Allahabad High Court, despite it being the largest high court in the country. Justice Sanjay Karol has been recommended to be appointed as the Chief Justice of Tripura High Court. The office of the Chief Justice of the High Court would be falling vacant consequent upon the elevation of Justice Ajay Rastogi to the Supreme Court. “Having regard to all relevant factors, the Collegium is of the considered view that Mr. Justice Sanjay Karol is suitable in all respects for being appointed as Chief Justice of the Tripura High Court. The Collegium resolves to recommend accordingly,” the collegium resolved. Justice Karol is the senior-most judge from Himachal Pradesh High Court and has been functioning in that high court ever since his elevation. The resolution clarifies that the collegium has taken into consideration the fact that at present there is no Chief Justice from Himachal Pradesh High Court and that Justice Karol’s turn to be considered for appointment became due on February 22, when Chief Justice of Manipur High Court, Justice Abhilasha Kumari retired.